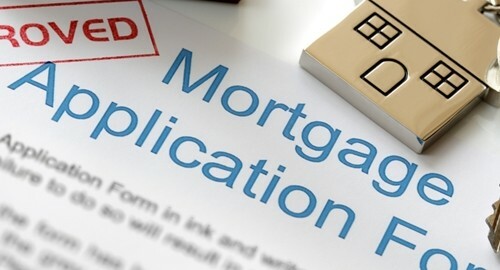 The number of mortgage applications in the first week of September was down 7.2 percent from the previous week, even when adjusted for the Labor Day weekend, according to data from the Mortgage Bankers Association (MBA). The MBA's Market Composite Index is at its lowest level since December 2000. Conversely, interest rates, which have mostly remained steady in recent weeks, grew for some types of mortgage loans. Specifically, the average rate for a 30-year fixed-rate conforming loan (under $417,000) rose slightly to 4.27 percent. Overall, this is frustrating news for the housing market, as it shows that the post-mortgage crisis recovery has slowed. Still, the numbers prove that the housing bubble is very much a thing of the past, and lenders are no longer issuing the subprime mortgages that led to the collapse. In general, markets have shown a lot of caution over the past few days, as speculation grows that the Federal Reserve System could be nearing a hike of its interest rates, which were brought down sharply in the wake of the recession. With the American economy well into the recovery phase, the question is not if, but when, the Fed will raise the rates again. Many experts hope that decision doesn't come too soon. "I don't think there's anything to be gained by being early in raising interest rates," said Wells Fargo's John Manley to Bloomberg. Installment loan software is a useful tool for lenders to navigate the upcoming changes to housing standards. Whenever the new rates come into effect, and whatever variations the market experiences, the proper software allows for the establishment of an ideal real estate amortization schedule for every loan application.